I brought home an interesting artifact from this year's Dark Shadows Festival. One of the vendors at the Double Tree Tarrytown Hotel had boxes of scripts for sale from the original series. These kinds of collectibles are usually minor curiosities, frequently copies-of-copies-of-copies that give you nothing more than a look at fundamental story construction. But there was at least one gem buried in the stacks though: a script to episode 245 of DARK SHADOWS featuring heavy notations and a handful of pencil/ink notes by someone from the crew. #245 is an interesting episode already, but it was fascinating to read how the various parts of the story were gradually refined. 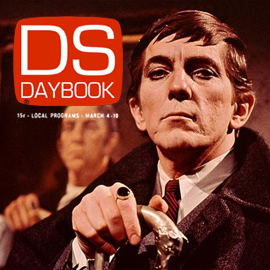 May, 1967, was an interesting time for DARK SHADOWS ... for better and worse. Mitch Ryan was nearing the end of his involvement with the show, taping his his last episode on May 25 (this episode was completed on May 23.) 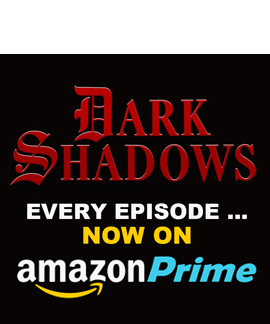 This is also the first script credited to Joe Caldwell, who had been contributing unofficially to the writing of DARK SHADOWS since the previous December. 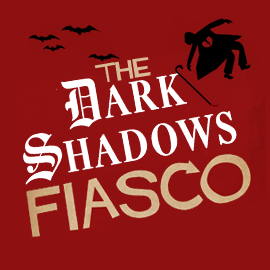 Caldwell wasn't the most prolific of DARK SHADOWS' many writers, but would remain with the show until 1970. Technically, this script represents two drafts. There's the version that was approved for production, and then there's a phantom draft made up of hand-written notes scattered throughout the document. Rather than re-write the entire script for the cast and production team, dialogue was excised (and in some cases re-written) in pencil. These annotated pages were photocopied and circulated to the cast and crew. Theoretically, you might even say there's a third version of the script, the one revised in-camera by the actors. 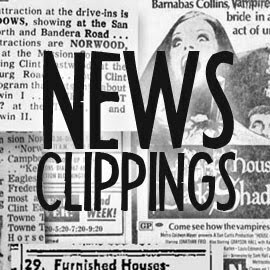 Without the luxury of editing (DARK SHADOWS was "taped live," remember) the production was obliged to use whatever dialogue the actors spat out. And they usually get it perfect, at least in this episode. An occasional word gets changed here and there, but everyone delivers on the intention of the script even if the punctuation isn't always precise. This revision is dated May 18. The first dry rehearsal took place Monday, May 22, after the taping of episode 244. Presumably the cast from that episode got to go home early that day, because none of them appear in this episode. 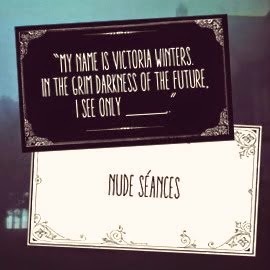 My name is Victoria Winters. 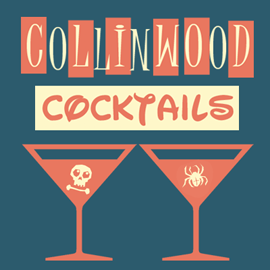 Streaks of red, the color of blood, wash the sky that sets the western limits of Collinwood. It is as though the day were dying a horrible death, and the peace the sunset usually promises, has failed to penetrate the darkening precincts. The fear that the day could not disperse remains, and already mounting terror continues unchecked. And a cruelty even the dying day can not redeem smiles its harsh smile in gathering dusk. The introduction is different in two ways. 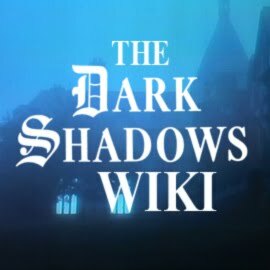 The first is a change not noted in the script, with Moltke saying "penetrate the darkness" instead of the ponderous "penetrate the darkening precincts." The line noted in boldface in the above quote was removed entirely because of an adjustment made elsewhere in the script. Caldwell originally wrote a handful of static scene openings, almost all of which were revised to ramp up the drama. 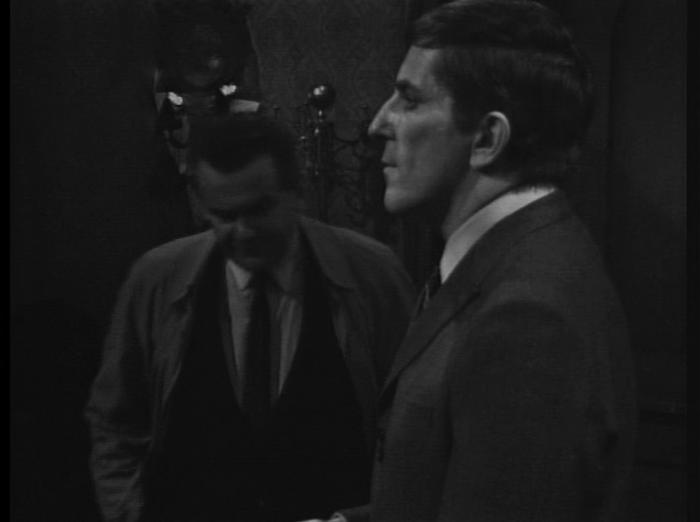 As written, episode 245 begins with a "smiling" Barnabas Collins (see Moltke's voice over above) confronting a "cowering" Willie Loomis. This was changed to move the camera to the staircase of the Old House in order to show Frid descend into frame. What was taped it a lot more menacing (and active) than what was originally proposed. That's an ENTIRE PAGE OF DIALOGUE with an "X" through it. 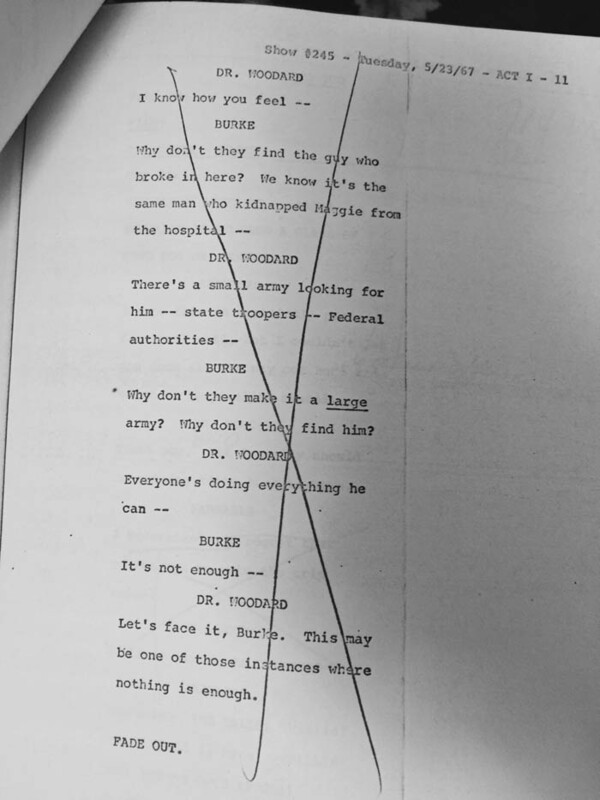 As you can see, nothing much was lost here ... Burke Devlin and Dr. Woodard basically regurgitate everything they said on the preceding pages. Had Caldwell been a more experienced writer, I'd argue that he wrote this page as a buffer to protect better scenes from being truncated. But that's probably not the case. "Until we find out what's going on, no one is safe. Every time I take a look at Vicki, I get a little scared. What if something happens to her?" That was how it was written, and that was how it was delivered by Ryan (more or less.) But the dialogue had been revised to change "Vicki" to "any young girl in town," with the last line deleted entirely. 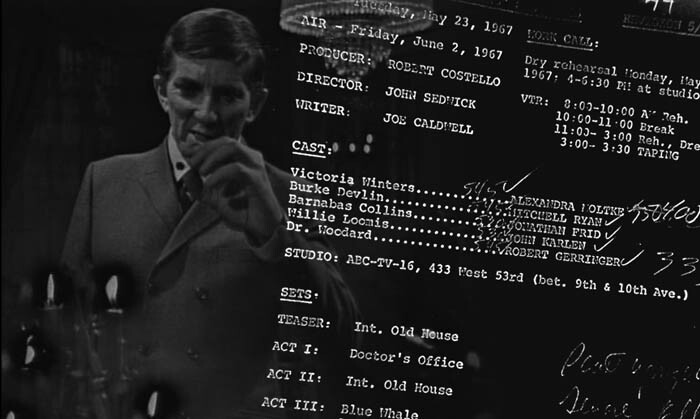 Deeper into the script's margins, though, additional handwritten notes indicate "Take 2," with directions that restore the original dialogue to re-instate Vicki's name. This is why actors drink. 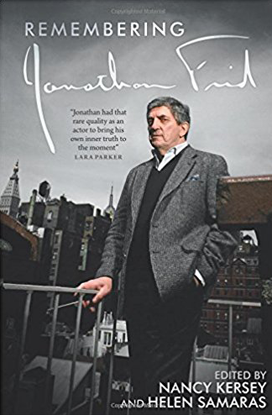 I noticed an interesting thing taking place as I compared the finished episode to the script: Jonathan Frid had a habit of making his dialogue better. 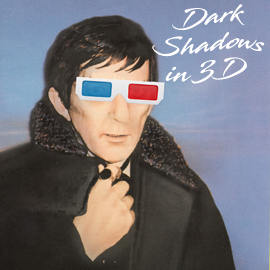 His relationship with Barnabas Collins and DARK SHADOWS was more focused in 1967 than it would ever be again. Promotional obligations, movies, celebrity and a requirement to work almost every day of the week would later put undue strain on him, but here he's still playing a badguy living on borrowed time. Barnabas was intended to appear as a temporary heavy for the show and was set for execution later in the year. In May, 1967, he could still do his job and go home unmolested by admirers. While he would later call this period in his life "hell" (because of his problem learning to memorizing new scripts on a daily basis) I suspect he was happier on the show before the weight of the world was placed on his shoulders. This episode represents one of his most confident performances ... taped during a time when life was simpler for both Barnabas Collins and the actor playing him. This episode also features two odd references to DRACULA, the archetype for all-things-vampire. 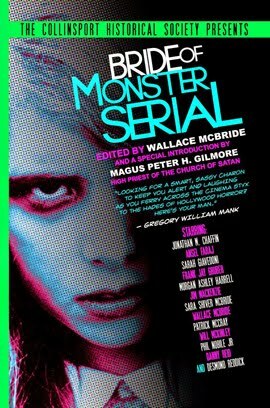 After watching this episode I can't say with any certainty that the writers had actually read Bram Stoker's novel, because both references could easily have been lifted from movie adaptions. In one scene, Dr. Woodard politely declines a drink offered by Barnabas, but seems impressed by the vintage once he tries it. Barnabas urges him to try "just a few drops," which must have been considered too on-the-nose because it was altered to read "just a little." 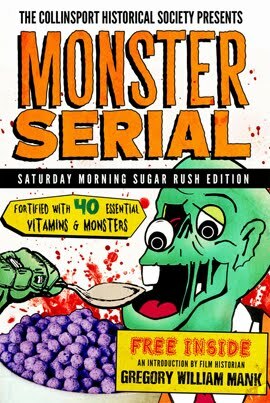 Woodard responds: "I'm not a wine drinker, but I must admit this is excellent." "In a way, isn't that understandable? 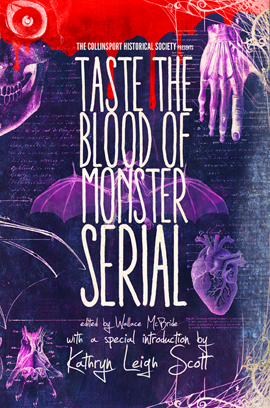 After all, blood is the life force. It reaches into the deepest recesses of both the heart and the brain. It is the familiar of our complete being ... to surrender even a drop of it suggests a partial surrender to one's utmost self ..."
"Whoever he is -- he must certainly be at one and the same time more than a man -- and less than a man ...The truth is I loathe him -- I loathe him very, very deeply." Those lines of dialogue quickly became the template for every self-tortured vampire to follow in his foot steps during the next 49 years. 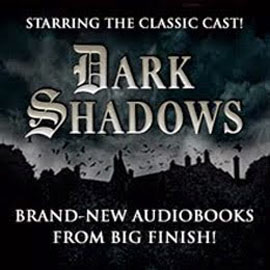 There are a few critics that want to blame DARK SHADOWS for that trend, which is about as fair as blaming The Beatles for the existence of Herman's Hermits. The idea of a vampire as anti-hero might seem a little stale today, but I can't even imagine the gut reaction people had when seeing this episode for the first time in 1967.